Found Property refers to any item found by an individual or (finder) which does not belong to the finder. 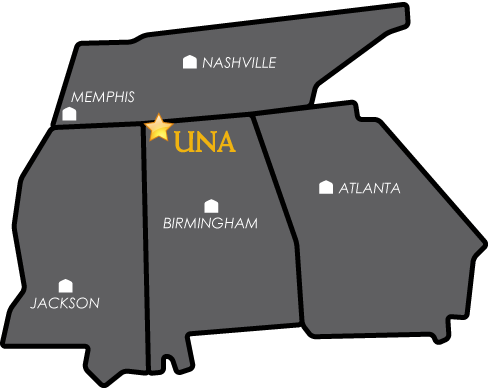 All items found on the University of North Alabama campus should immediately be turned into the University Police Department. The property will be logged into an inventory system and will subsequently be held for a minimum of sixty (60) days. Lost Property refers to any item which the owner has lost unwillingly or without their knowledge. All persons who have lost property on the University of North Alabama campus will be directed to come to the University Police Department in person to claim their property or where they can make a report of lost property and it will be logged into the system. The owner will be required to show picture identification (UNA Identification card, State ID card or valid drivers license). Since the property will be logged into an inventory system, the owner will be required to sign for the property, showing that they have received the property. All property found and turned into the University Police Department will be held for a minimum of sixty (60) days. Property not claimed by the owner during the holding period, will be purged and donated to pre-determined charitable or non-profit organizations. No employee or student will be allowed to profit from lost and found items purged from the system after the holding period. BICYCLES: Bicycles will be donated to Loaves and Fishes or to the UNA Outdoor Recreation Center. "Working Together for a Safer Community"